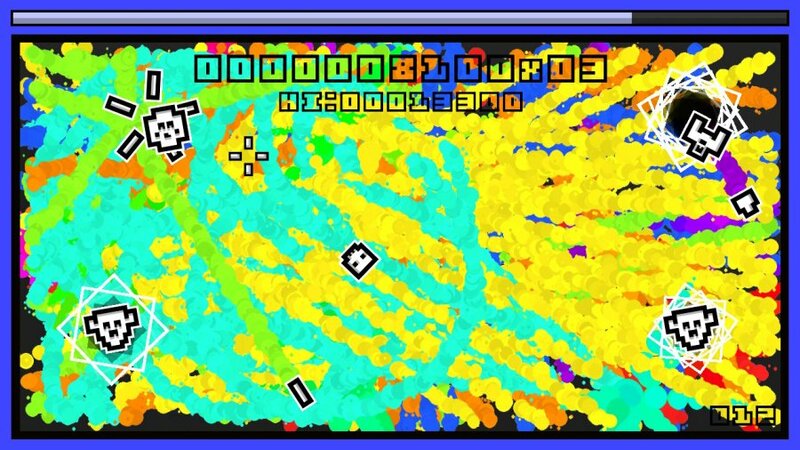 The gameplay is pretty straightforward as Inksplosion is an arena-based shoot 'em up title with extremely retro mechanics, you have a few variety of enemies that fire various weapons and certain bullet patterns and there are a few level hazards here and there, but this game really goes back to the absolute basics. This is its greatest flaw as well as its greatest strength. The overall amount of content is fairly lackluster and there isn't much variety in the level designs which repeat frequently. There are a few modes, but all of them are pretty basic. The one upside is that you can earn the platinum trophy in under a half an hour with enough luck and skill and the game is cross-buy with Vita and has different trophy lists between systems and regions! 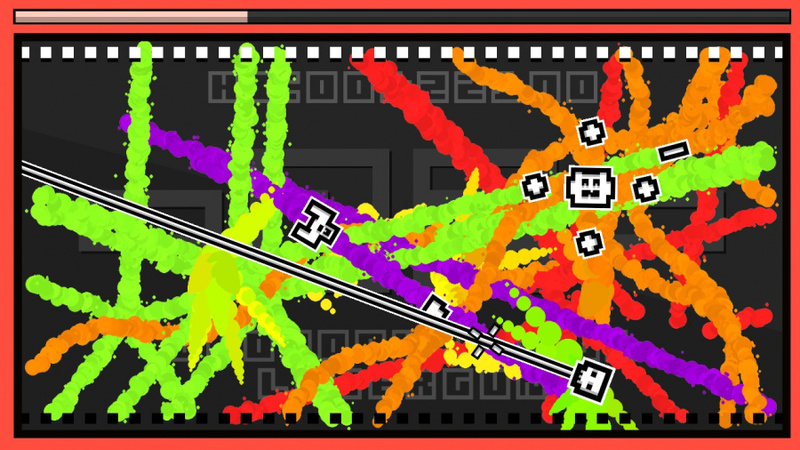 The audio-visual presentation is very simplistic in nature and in all honesty the game looks quite sleek and the soundtrack fits the early to mid-70's arcade theme the developer was aiming for in Inksplosion! 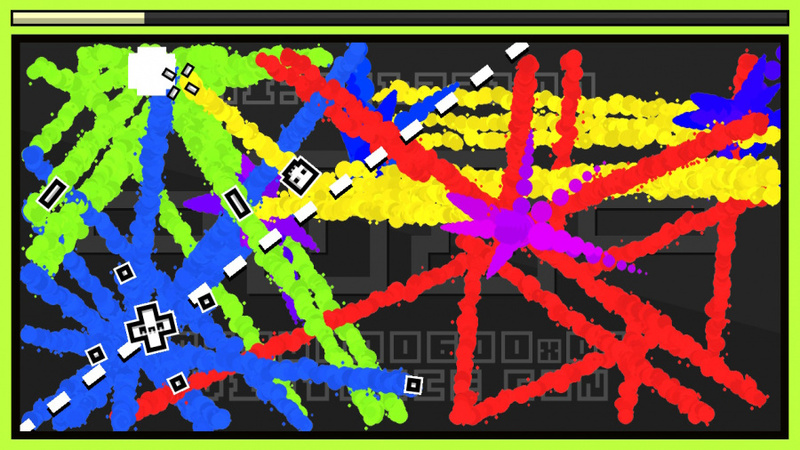 Bottom-Line: With fun gameplay, responsive controls, and a superb yet simplistic audio-visual presentation, Inksplosion is a good way to kill a few minutes here and there, but its one fatal flaw is that it really doesn't have much in the way of content or replayability which hurts the game immensely, however we still think it's a decent little game and as such we give Inksplosion a decent level of recommendation. I recovered this review boss, but there are a number of other reviews that seem to have been lost due to issues with our server. Thanks for the help Natalia! I was wondering why so many reviews vanished. It looks like you guys are going to be busy for a while. @Clαππαd wrote: I recovered this review boss, but there are a number of other reviews that seem to have been lost due to issues with our server. Indeed it is. Thanks for the comment! Excellent review! I noticed that your Fullblast and Tetra's Escape reviews are missing as well. @Nell TU Thanks for letting us know. We lost a number of reviews during a recent server outage, we're trying to add them back as quickly as we can, but with so many upcoming reviews it's going to be slower than we'd like. Good review, sorry to hear that you lost a bunch of content.